Unfortunately for everyone, summer is over which means back to school and general misery as it rains all day everyday (never snow may I add). We could look at autumn in a different way. The leaves showing arrays of colours which try to lighten the ominous clouds above our heads. As we change season there is a drastic colour change needed in your wardrobe. The pastel flowery colours are gone replaced with mysterious berry and navy. One particular trend that is staying from the summer although is suede. This not only means that the 70's trend is here to stay but also we get a constant reminder that summer isn't too far away (being very optimistic here). Suede comes in a variety of colours including tan, camel and black. My favourite part about the material is the texture as it feels and looks good quality. I have many items that are suede as I love the flexibility of the colour and style. So, this is my attempt of trying to make the start of school seem better for you! After all, looking good makes you feel good. Suede jacket? I can see your shaking your heads but surprisingly its actually an amazing buy as it gives such diversity with your outfits. 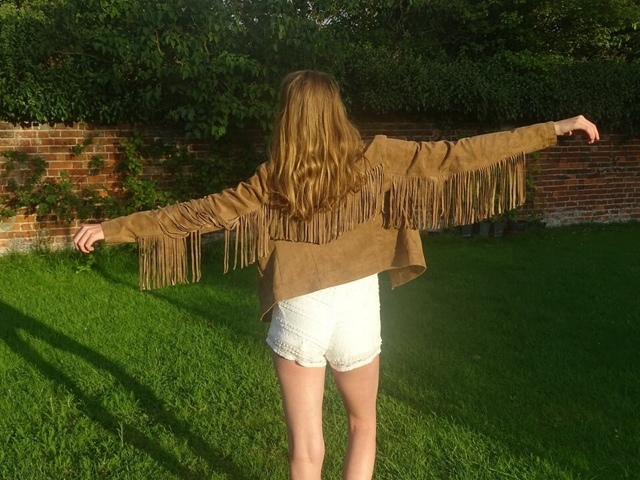 I may have gone a bit overboard with the excessive fringing but its 70's and hippy and that's gotta be a good thing right? 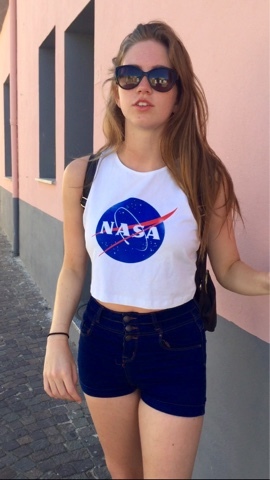 Its also perfect for festivals and just generally making heads turn. Its different and out there but classy and stylish. Now that it's getting colder, it's great that you can be on trend and warm at the same time. Skirts in winter can be hard but why convert to jeans entirely? This is an alternative to the denim button down skirt that is trending right now and can be worn with tights to keep you warm. It would also work perfectly with a black leather jacket and white polo neck top. 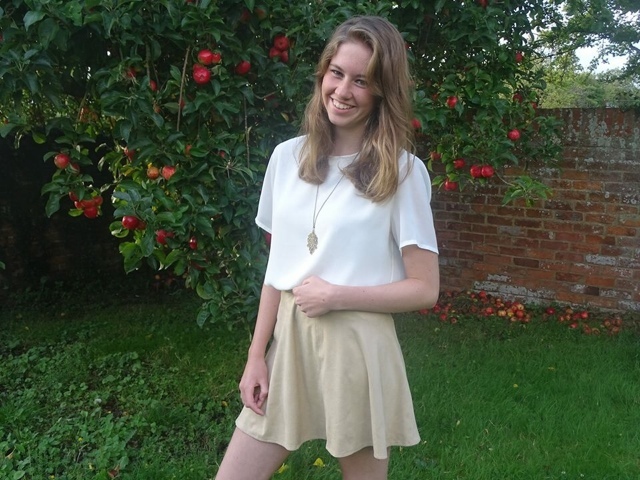 I matched the skirt with a gold necklace to emphasise the colour and to jazz up the outfit. Skirts are a must in winter so please don't resort to jeans as the only way to keep warm. Unless its snowing. Suede is also a heavier material which means the skirt stays down and doesn't blow up when its windy! 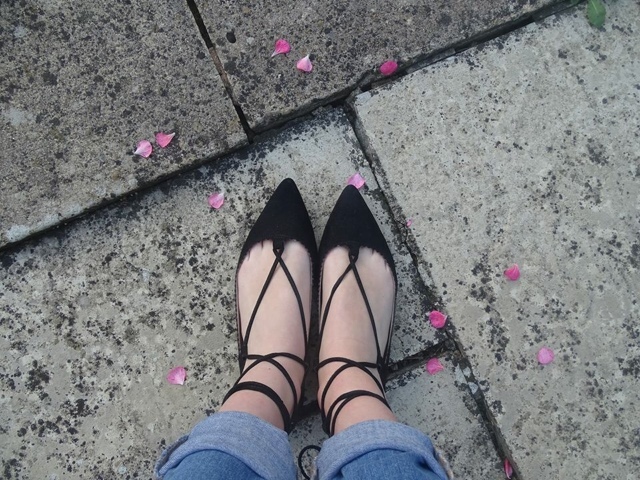 Lace up pumps are now a thing so obviously I had to get them! These gorgeous black suede pumps complete any outfit to make it seem more chic and hip. Also following the 'lace up' trend. They are really comfortable (unless you tie them too tight and cut the blood circulation from your foot). You can even get a leather version from Missguided for £20. Definitely worth the money and they look fantastic. Thanks for reading. Hope this helps. Nearly at 5K views! I can't believe how many of you actually read my blog so thank you!